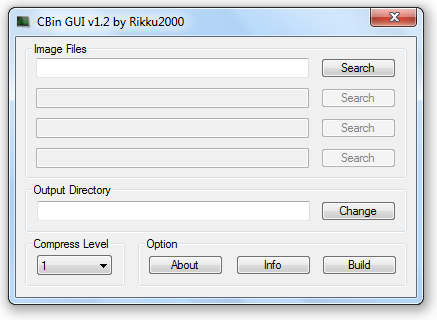 CBin GUI is a small Software for Windows PC. 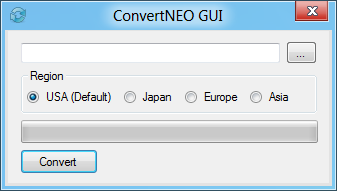 For playing AES4ALL (NEO4ALL/AES), you need convert typical ZIP-compressed NEOGEO roms, 'convertneo' command-line tool allows this conversion of supported games (GNGEO). This tool is incluyed on AES4ALL packages for Windows and GNU/Linux. 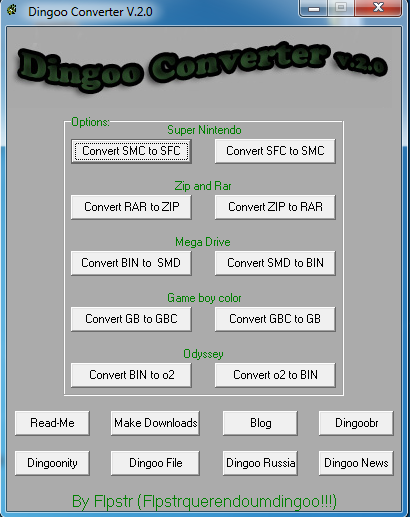 Application to convert CPS2 roms for the Dingoo. Here are some small unpretentious files. They allow you to show icones Dingoo and Dingux in the Windows explorer. To install these files, copy files directly in the root in the respective memory. Coloque os arquivos a serem convertidos no diret�rio do programa. Clique em Convert (e a op��o desejada). Se receber Sucess tudo ocorreu bem! - Coloque as roms de neo geo, cps1 e cps2 no diret�rio roms. This unbricker tool is patched up so that the unauthorized screens don't come anymore. You should all thank MTH on #dingoonity (freenode) cause he basically read the mips code i disassembled. I only patched an unbricker tool and did some research. 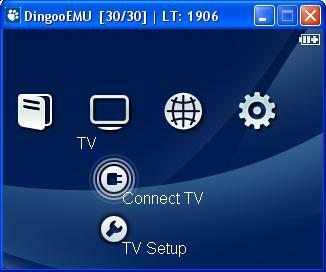 A Dingoo Theme Emulator for Windows. Very useful for previewing themes while editing. A helpful little GUI to make installing DINGUX even easier! 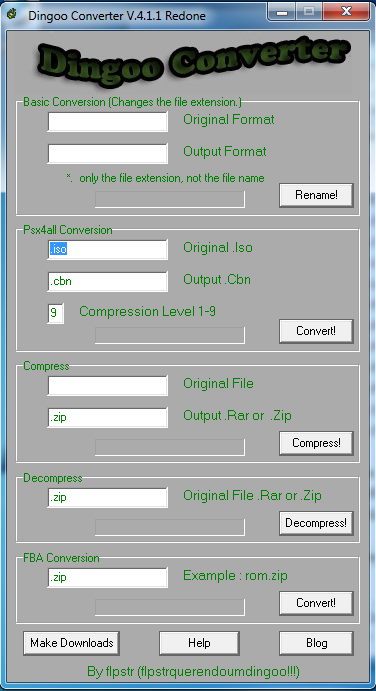 Application to convert mvs files for the Dingoo.